The rise and fall of Elizabeth Holmes and her $9 billion medical tech start-up, Theranos, is the stuff of Greek tragedy: Hubris, ambition, deception and betrayal abound. But it is also a stunning emblem of our delusional, self-aggrandizing, fake-it-till-you-make-it times, a cautionary tale of the tech era and the insidious culture it has created of would-be legends and short-lived genius. 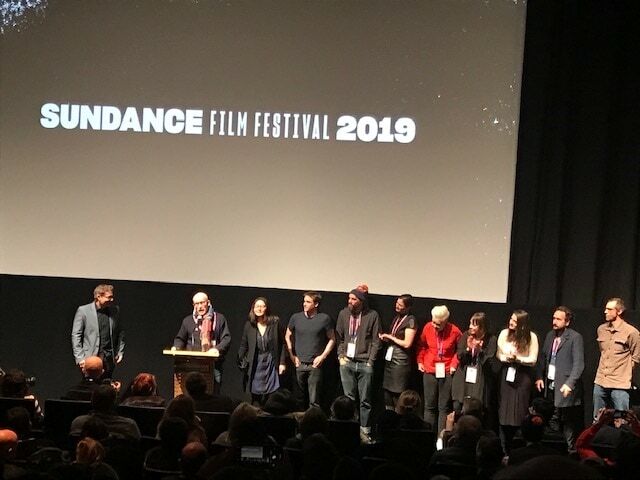 Veteran documentarian Alex Gibney has all the raw ingredients of great drama in “The Inventor: Out for Blood in Silicon Valley,” which screened on the opening night of the Sundance Film Festival. Holmes started her company Theranos as a 19-year-old Stanford drop-out, with the dream of revolutionizing the medical diagnostic industry with a simple idea: a few drops of blood could quickly diagnose anyone’s medical condition, rather than the traditional method of drawing lots of blood and running lots of tests. She was blond and beautiful. She was a woman in a male Silicon Valley culture. She dressed like Steve Jobs — in a ubiquitous black turtleneck — and spoke in throaty, confident tones about her vision of the future. The problem was she hadn’t figured out the technology. And while she raised hundreds of millions of dollars and convinced the likes of former Secretary of State George Schulz and former Pentagon commander James Mattis to join her board of directors, she found herself digging an ever-deeper hole of deception and lies. By the time Wall Street Journal reporter John Carreyrou showed up and started asking persistent questions, Holmes was in too deep. And like most fabulists when cornered, she dug deeper into her delusions and lies. Gibney, who has made a career of hard-nosed documentaries on delusional fraudsters from Enron to Lance Armstrong to the Church of Scientology, does a great job of letting Holmes tell her own story, weaving footage of her rallying her employees with a grand vision, and constantly telling doubters that this is just part of what you get when Greatness challenges the status quo. He also has revealing interviews with the whistleblowers who worked with Carreyrou and fed detailed information to the reporter, such as the fact that most of the prick tests being submitted for federal approval, or investors, or Walgreen executives signing a massive contract, were actually being done on conventional blood-testing machines and not by the revolutionary and totally secret Theranos method. Which happened not to exist. Carreyrou gets his due in the film, and plenty of public figures get their comeuppance. Super-lawyer David Boies, whose reputation has also suffered as a brass-knuckles Harvey Weinstein enforcer, is shown as a bully willing to defend Theranos’s false claims in order to intimidate Carreyrou. The journalist who helped create the Holmes mythology by putting her on the cover of Forbes as a rising business star, Roger Parloff, comes close to tears as he grapples with his role – however unintentional – in a grand fraud. It is stunning to see Holmes cross to the dark side in order to save herself, passing from half-truths and obfuscation to outright lies. The truth, of course, eventually comes out. And whistleblowers like Schulz’s grandson Tyler, who worked at the company, and a lab researcher, Erika Chung, were present at the screening on Thursday. 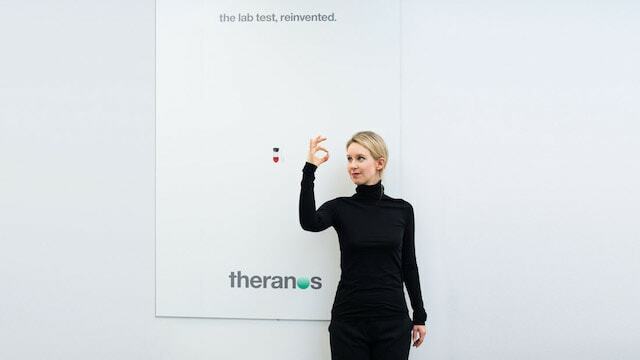 Theranos was dissolved in 2018 and Holmes and her one-time partner Sunny Balwani face criminal charges for their actions. 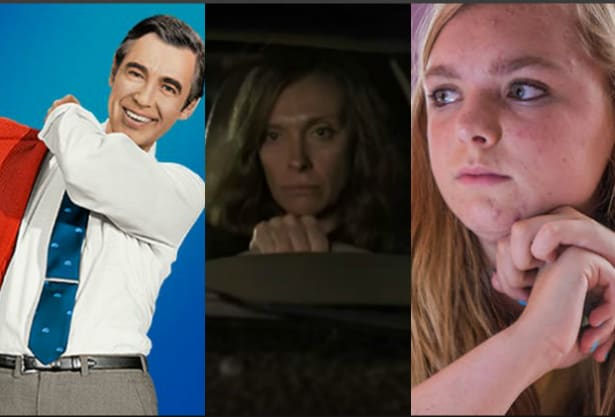 “She wasn’t planning to perpetrate a long con,” said Carreyrou, who wrote a best-selling book about the subject, at the Q&A after the Sundance premiere. “She wanted to be a successful entrepreneur and she threw herself into it. ‘Fake it till you make it’ is embedded in Silicon Valley.